HP VS Twilight. . HD Wallpaper and background images in the 해리 포터 대 트와일라잇 club tagged: twilight movie harry potter breaking dawn deathly hallows twilight series kristen stewart robert pattinson. This 해리 포터 대 트와일라잇 fan art might contain 초상화, 얼굴, 근접 촬영, 얼굴 만, 세로, and 헤드샷. Edward Cullen? Who is it? 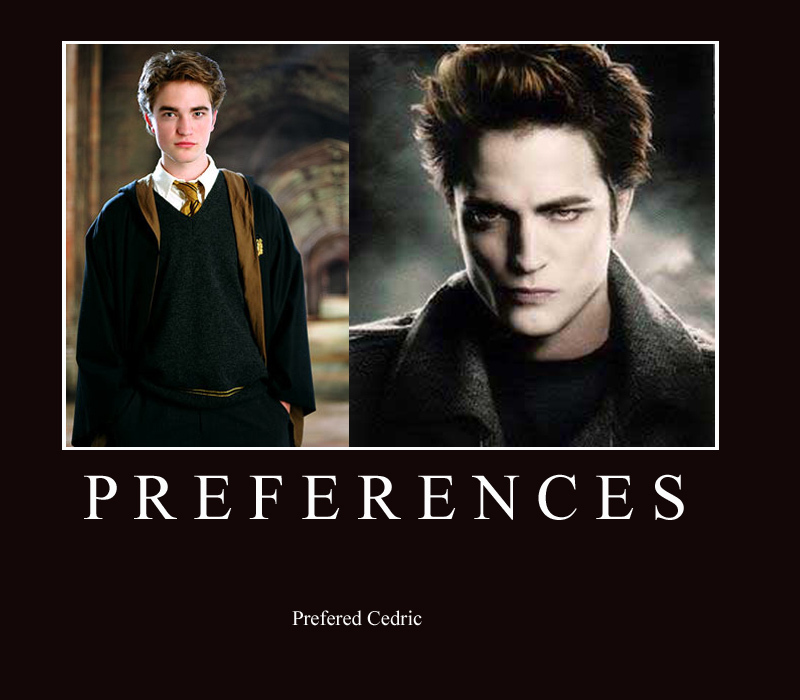 For me Robert Pattinson remains CEDRIC DIGGORY.